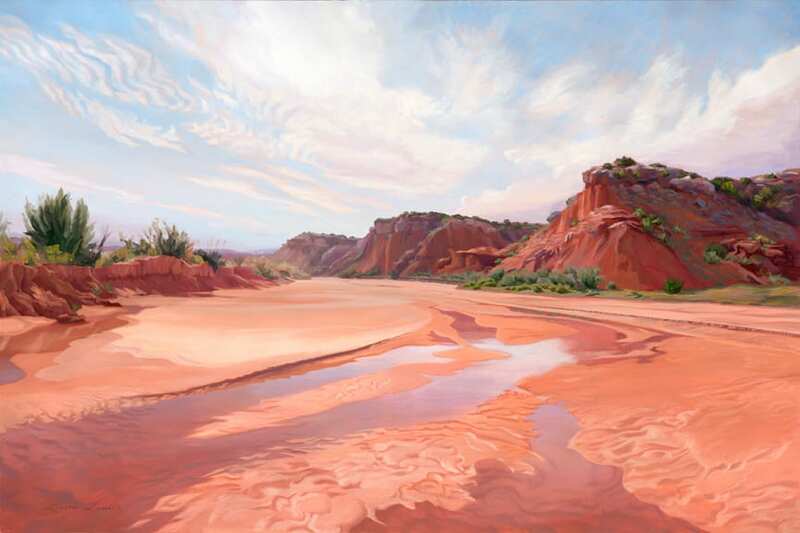 Laura Lewis is a regionalist landscape painter who depicts the beauty and the quirks of the Panhandle Plains of Texas. It is the extreme horizontal scenery, the open spaces and paucity of vertical elements that challenge her to hone her compositional skills. She especially enjoys imagery that is very realistic yet borders on the abstract. Laura is represented by several galleries in Texas.